Last summer I picked up the best TV set I’ve ever owned, a Panasonic TC-P58VT25. This set has what I consider to be one of the better pictures available on a television today. It happens to also have 3D which is certainly a nice bonus, but not the main reason we purchased it. We’ve enjoyed the awesome picture on this plasma for months, but the he 3D feature was extremely nice tonight thanks to Avatar. Panasonic somehow locked up the 3D version of Avatar so other than on eBay, it’s only available through Panasonic (through 2011) by purchasing a qualifying TV and/or Blu-ray player. 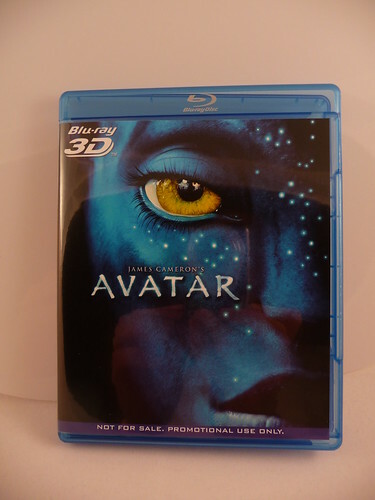 I was one of the lucky (or cash poor) folks and we received our copy of Avatar on Christmas Eve. Unfortunately we’ve been so busy we didn’t have a chance to watch it until tonight. 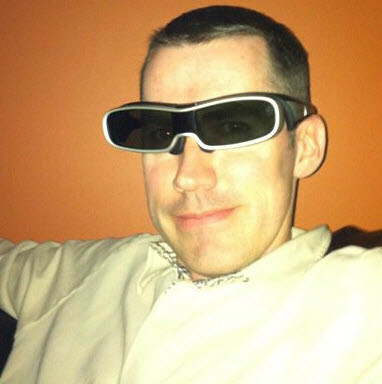 As many already know the weakest point about 3D today is the need for special glasses to view the 3D content. Now these aren’t the old, paper glasses we used to use when seeing 3D. The new kind are much improved, but still a bit annoying. 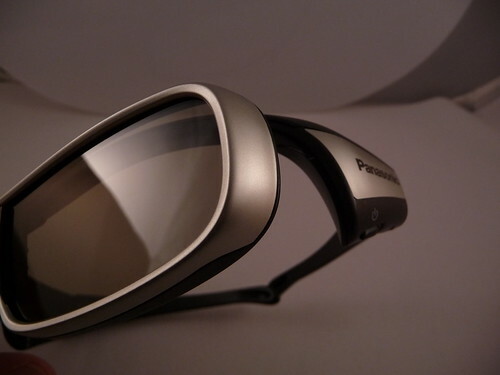 And while Panasonic has the best (in my opinion) TVs especially when it comes to 3D, they also have the most awkward 3D glasses on the market. Yep, that’s a photo of me with those 3D glasses on. Didn’t think it was possible to make me look even more geeky, but MrsGeektonic has the photo to prove it! 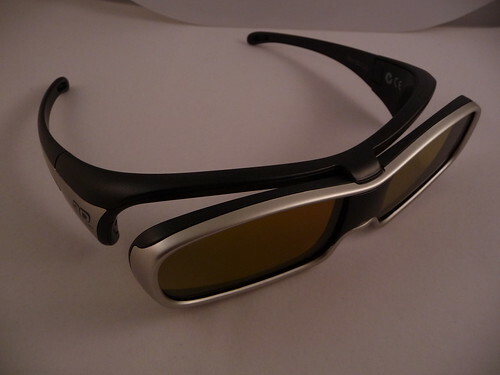 The glasses require a tiny battery to power them. 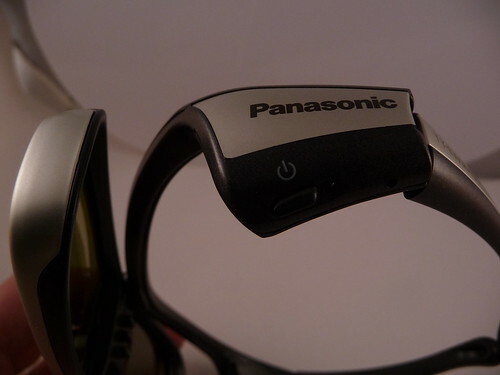 The on/off switch on this version of the 3D glasses is a button that when pressed lights up a little LED light to let you know it is powered on. So how is the Blu-ray 3D version of Avatar? Well compared to seeing it at the theater, it’s actually pretty awesome. I’ve watched several other 3D movies on this TV set and with some, there are some distortions. Avatar had none of that – no crosstalk, no noticeable distractions or any other issues seen on some 3D movies. You are fully immersed with a very convincing 3D environment effect. I didn’t purchase this TV just for the 3D, but I have to admit to loving the 3D feature especially with this movie. Problem is, there aren’t a ton of other 3D movies available on blu-ray 3D as of yet so its a good thing I love this Panasonic set for its 2D performance. If you have any questions about the TV set, the blu-ray 3D version of avatar or any of the equipment I’m using let me know in the comments.